Women's Original Striped Glitter Knitted Socks is rated 3.0 out of 5 by 2. 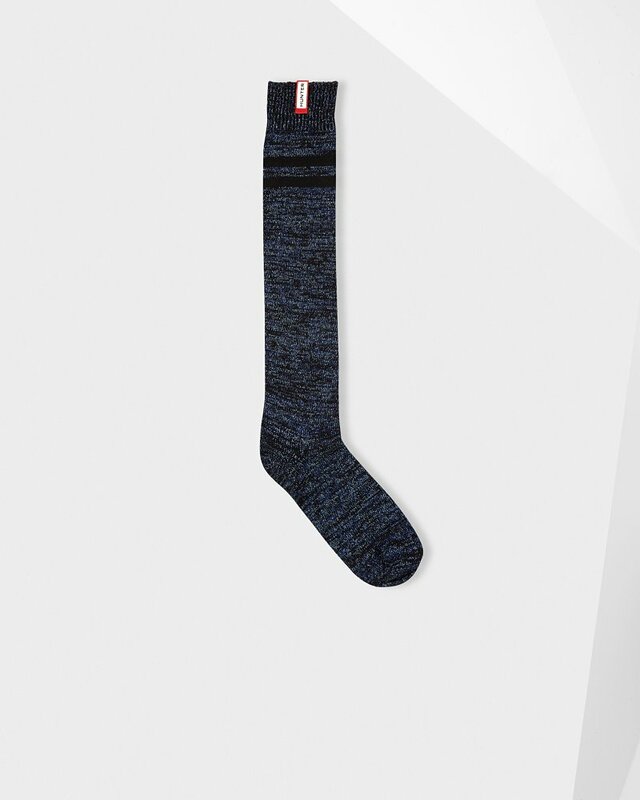 Donnez un aspect chatoyant à vos bottes avec ces confortables chaussettes en coton. Tissées dans une laine à paillettes avec deux rayures contrastées, les chaussettes montantes pour botte Original sont spécialement conçues pour être portées avec les bottes hautes Wellington Original. Rated 2 out of 5 by Goodgloves from NOT IMPRESSED WITH THE MATERIAL I bought two different pairs of socks. The material on the first pair was soft and comfortable, very happy with them. The second pair were the glitter socks, the material was different it was not soft but very picky and rough. I have sensitive skin and will not be able to wear them. It would drive me crazy just like the picky tags on the back of shirts.